Wood Resources International reports that global lumber prices have continued their two-year climb in 2018, with the pace higher in North America than in Nordic countries, Russia and China. In other Business news, Quebec’s Premier Philippe Couillard is heading to Washington to push back on US protectionist trade policies; while Maine’s forest industry is benefiting from some of them. In other news: the idea of granting Indigenous communities the power of consent over resource development is gaining momentum in BC; Trump says the president’s authority supersedes timber laws that would allow harvesting; a new study says earth’s intact forests are shrinking faster than in the past; and the move from coal to wood pellets is helping the UK meet its energy goals. The price of wood is spiking. 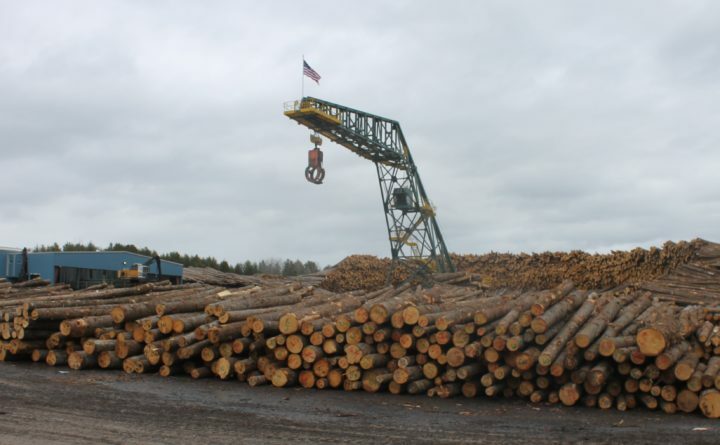 That’s costing consumers, but boosting Maine’s forest industry. Prices for wood to build and renovate houses have as much as doubled over the past six months, increasing costs for consumers but boosting Maine’s softwood sales and signaling a turnaround in that segment of the forestry market, industry experts say. A number of factors drove up the price of wood. They include pent-up demand for new houses or additions following the recession, forest fires last year in western Canada that destroyed prime forests and shuttered mills for up to two months, a trade dispute between the United States and Canada, and hurricanes and other weather that created demand for repairs and new homes. A shortage of railcars and trucks also made it more difficult to transport lumber. That all translates into a tight supply of wood. 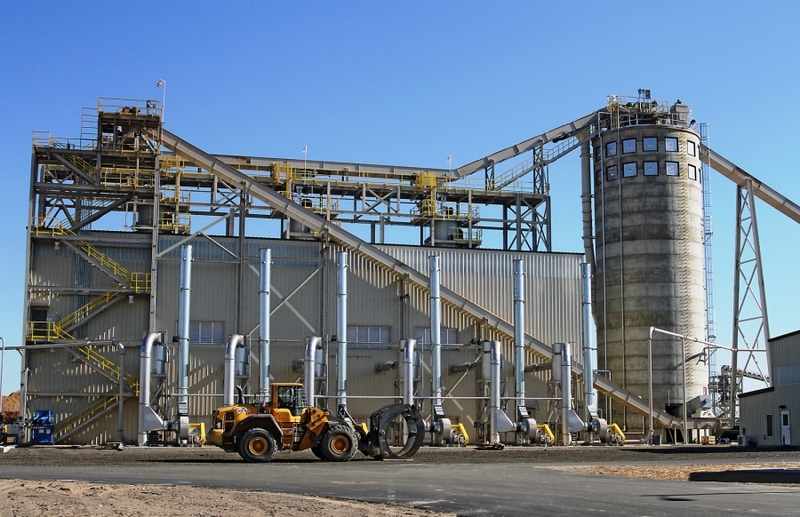 To meet demand, mills in the state are boosting production, adding jobs and raising wages. HELSINKI, Sweden — After softwood lumber consumption in the US reached a ten-year high in 2017, demand fell in early 2018. …In the Nordic countries, the sawmilling industry has seen their markets improve both in regard to demand and to pricing during the past year. Although export volumes declined somewhat in early 2018 as compared the same period in 2017, prices increased, reaching the third highest level seen in the past decade (in local currencies). …Demand for wood in China slowed in the 1Q/18, following a record-2017, with import volumes of softwood lumber falling to their lowest levels since the 4Q/16. …The record high softwood lumber prices in the US have impacted the costs for North American lumber imported to Japan in the past six months. …Russian lumber exports reached an all-time-high volume of 28 million m3 in 2017, up 10% from the previous year, a doubling of exports from ten years ago. Overseas investment rules in New Zealand’s forests will be changed as the Government prepares to bring in changes to promote genuine benefits for New Zealanders. Associate Finance Minister David Parker announced yesterday the Bill putting in place the Government’s policy of banning overseas buyers of existing houses had been reported back to Parliament by the Finance and Expenditure Select Committee. Forestry rights, the means of buying forests, needed to be covered by the Bill. A light-handed regime would be applied to encourage foreign direct investment into forests, he said. Stakeholders had provided feedback saying the existing screening regime for overseas investment in freehold and leasehold land could take a long time and involve significant expense. A massive fire that ripped through a construction site south of the University of Arizona caused an estimated $1 million in damage, putting a student housing project in limbo. The fire, which was reported shortly after 2 a.m. Tuesday morning near East Broadway and North Tyndall Avenue, destroyed major portions of the construction site for the multistory student housing project. Fire investigators combed through the site for hours Tuesday to no avail, working to determine the cause and origin of the blaze that partially melted a construction crane and toppled power lines. … After firefighters arrived at the scene, they called a second alarm, asking for more units and firefighters to assist in battling the blaze on the three-story wood frame structure, the release said. When it comes to timing, Sir Bob Jones certainly has the knack. 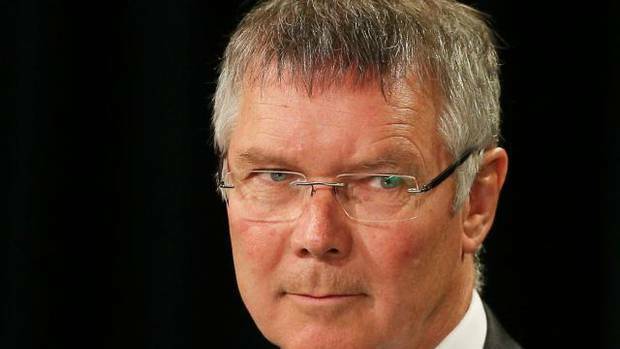 With his widely publicised move to have a major commercial building in Wellington designed using wood for earthquake resistance he has again affirmed his shrewdness for timing of commercial decisions. It is now catching on around the country. Just as Jones has chosen a mainly wooden structure for his office tower rebuild in the central business district of Wellington, developers up and down the country are moving quickly to capitalise on the benefits of engineered wood structures. As the engineers and architects leading the wood renaissance know, there are two key reasons why wood is soaring in popularity. First and foremost, the engineering of wood for structures has grown rapidly as technology has made it more economical to manufacture large beams and panels for commercial buildings. Representatives from the Cheakamus Community Forest held their spring open house on Thursday, June 7. Plans for this year involve a major forest thinning project along the Cheakamus Lake Forest Service Road (FSR) and retention logging of areas in the Callaghan Valley and an area above Jane Lakes. The thinning project begins at the start of the forestry road and ends at the parking lot that allows you to drop into the Cheakamus Lake section of Garibaldi Park. The aim is to thin out a band of forest, which will help prevent the rapid spread of wildfire, explained Tom Cole, a forest manager for the non-profit Cheakamus Community Forest Society (CCFS). …”The idea is we leave the bigger trees and take out the little ones,” said Cole, adding that a similar fuel-thinning project in the Callaghan Valley has proven tremendously effective. Public comment is being welcomed on how to improve wildlife management and habitat conservation in B.C. “The diversity of wildlife in British Columbia is one of our province’s greatest treasures,” said Ministry of Forests, Lands, Natural Resource Operations and Rural Development Doug Donaldson in a statement. “Working with Indigenous peoples, wildlife stakeholders and the public, we want to build a strategy that more effectively manages our wildlife for future generations. We’ve dedicated $14 million over three years to do so.” Three-quarters of Canada’s mammal species are found in B.C., with 24 of those species exclusive to B.C. But a growing human population combined with expanded natural resource development and impacts from climate change have put pressure on certain wildlife populations, some of which are now in decline. The idea of granting Indigenous communities the power of consent over resource development is a solution, not a problem, in building the certainty that many industries in B.C. are demanding, argues lawyer Cynthia Callison. That would be a step beyond the existing standards in Canada that First Nations be consulted and accommodated when they have Aboriginal title in an area under development. But it would result in better decisions that balance the distribution of benefits from development, she said. “Industry should be out there seeking that consent long before they invest millions of dollars in an environmental process, when it turns out an environmental assessment certificate isn’t going to give them social licence or Indigenous licence,” Callison said in an interview. Callison, from the Tahltan First Nation, was part of a panel discussion at the Resources for Future Generations conference n Vancouver. It has long been discussed, but it sounds now like raising the height of the weir at Lake Cowichan to hold more water in reserve in the lake to feed the river during increasingly dry summers is coming closer to reality. …Climate change, and deforestation of hills through logging have combined to create a negative impact on flows in and out, especially felt on the Cowichan River in summertime. Fast-melting snowpack and long summer droughts have seriously endangered the flow of the Cowichan River. …For the last several years, Catalyst, which operates the weir, has been days away from putting pumps into operation to get water over the weir to prevent the Cowichan River from running dry. Logging near Cottonwood Lake conducted by Sunshine Logging of Kaslo has progressed considerably over the past month. The private land encompasses all areas that are visible on both sides of the highway from the Giveout Creek area to beyond the Apex Ski area. It is unknown how much of this land will be cut because the company has not shared logging plans with the public and is not required to do so because the land is privately owned. Some of the timber is being purchased by the Bell Lumber and Pole Company, a U.S. company with a B.C. office in Vernon. The Nelson Land Corporation, formed in the fall of 2017 by Mike Jenks and Bernie van Maren, bought the properties in December. Jenks is known in the Kootenays and on Vancouver Island for buying up large tracts of private land, logging it, and then selling it, using several company names. This spring on a south facing 60 hectare slope covered with ponderosa pine forest, Stephan Martineau and his colleagues at the Slocan Integral Forestry Collective (SIFCo) in collaboration with the BC Wildfire Services, started a forest fire. It was intentional. Their research had told them that slope was a very likely path for a wildfire to take, so they wanted to get there first, but in a controlled way. …Martineau will be presenting at the Wildfire and Climate Change in the Kootenays conference in Nelson on June 26 to 28. The conference is subtitled Ecosystem Resiliency, Community Protection and Landscape Level Management. It features a large array of local and international speakers from government, business, and academia. That variety of perspectives is the point of the conference, Martineau says. Recently, The Chronicle Herald used the freedom-of-information process to discover that in 2017, the Port Hawkesbury paper mill paid $3.1 million in stumpage fees for the wood it used to produce paper but received $4.4 million for “silviculture” work it carried out. While the silviculture work included planting spruce saplings, it also included harvesting old-growth forest in Guysborough County. We have precious little old-growth forest in Nova Scotia and the thought that a pulp mill be paid to cut old-growth forest is appalling. We taxpayers have to realize that when the province pays, we are actually paying. Similarly, we are paying for the cleanup of Boat Harbour and the pipe the Pictou mill wants to install. The economics of our pulp and paper mills are so convoluted that it takes degrees in history, political science and psychology to understand them. The Trump Administration has asked for dismissal of a lawsuit challenging expansion of the Cascades-Siskiyou National Monument, claiming the president’s authority supersedes timber laws that would allow harvesting on monument land. On Friday, the administration filed a motion for summary judgement in Fourth U.S. District Court seeking dismissal of a lawsuit filed last year by the Association of O&C Counties (AOCC). 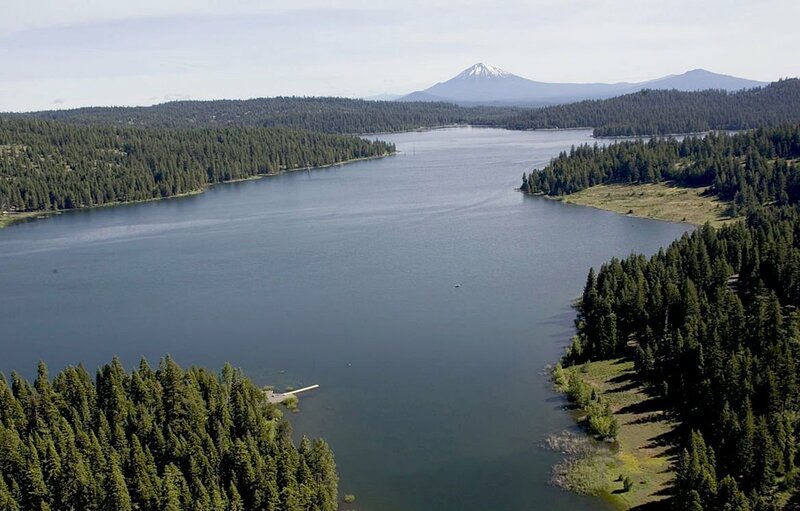 The associations are made of 17 Oregon counties, including Klamath, who depend on timber revenue provided by the O&C Lands Act of 1937. The act established minimum harvesting and revenue sharing standards for 2.5 million acres of Oregon timberland. …The Trump Administration also said the O&C Lands act “was not absolute” in its directives to harvest timberland and the federal government has broad authority to set timber management policies. 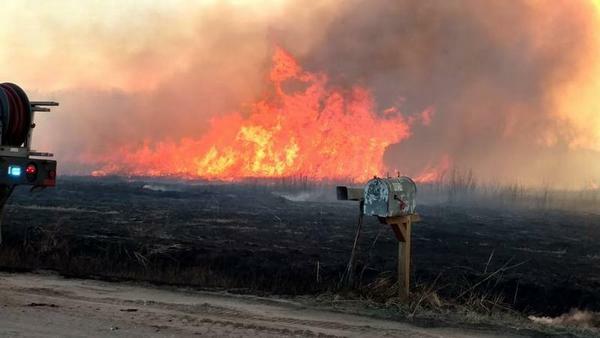 A legislative audit released Tuesday concluded that while wildfires in Kansas are becoming more frequent, a lack of resources and coordination are hampering the state’s ability to fight them. Firefighting duties and resources are spread across three separate agencies, which auditors said is complicating wildfire response and communication between state and local officials. The Kansas Fire Marshal’s Office is the lead agency for wildfire response, but it has no firefighting resources. Those resources are held by the state Forest Service, which doesn’t have enough funding to deploy the equipment. The Division of Emergency Management also serves a supporting role. …Republican Rep. Melissa Rooker, one of the lawmakers who requested the audit, says she wasn’t surprised by the results. PARIS – Earth’s intact forests shrank by an area larger than Austria every year from 2014 to 2016 at a 20 per cent faster rate than during the previous decade, scientists said Wednesday as the UN unveiled an initiative to harness the “untapped potential” of the land sector to fight climate change. Despite a decades-long effort to halt deforestation, nearly 10 per cent of undisturbed forests have been fragmented, degraded or simply chopped down since 2000, according to the analysis of satellite imagery. …The findings come as the United Nations Development Programme (UNDP) and five major conservation organisations launched a five-year plan, Nature4Climate, to better leverage land use in reducing the greenhouse gas emissions that drive global warming. A wildfire estimated at about 20 hectares in size has flared up between Logan Lake and Kamloops, the BC Wildfire Service said Wednesday. The fire, which was caused by lightning, is west of Tunkwa Lake, it’s about 13 kilometres northwest of Logan Lake and about 28 kilometres southwest of Kamloops. The fire is considered active, and 17 firefighters and air support are tackling it. The service considers it a “Wildfire of Note.” But that wasn’t the only fire that the BC Wildfire Service found itself tackling on Wednesday. In a tweet, the service said it was responding to “dozens of new fires,” which were largely due to intense lightning in southern and central B.C. The biggest of those fires was a 90-hectare blaze about 15 kilometres west of Burns Lake. People travelling between Fort Liard, N.W.T. and northern British Columbia could see their way blocked by a forest fire that’s burning just five kilometres off Highway 7 and heading southwest. 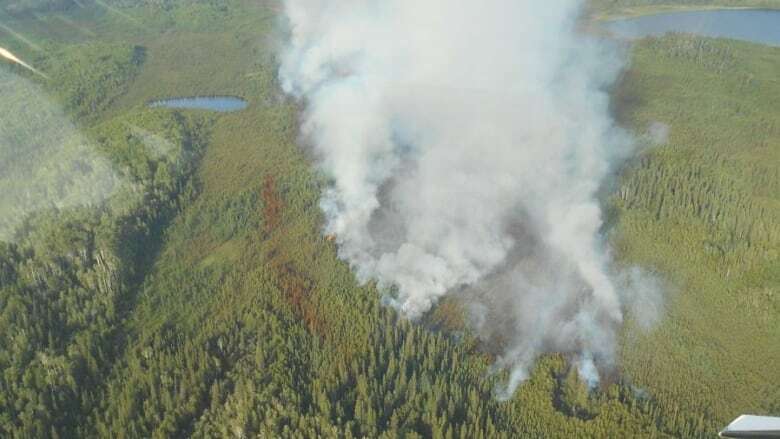 The fire is about 120 hectares and about 19 kilometres southwest of Fort Liard, explained Jay Boast, the communications director for the Department of Municipal and Community Affairs. …Fire officials say the fire is too hot for fire crews to be on the ground, so right now they can only work from the air. Temperatures in the region are expected to top 29 C all week. The 12 cooling towers at the Drax Power Station have dominated the flat North Yorkshire countryside since the plant was built to burn coal from local mines in the ’60s.It’s the largest power plant in the UK, and for years it served as a visible reminder of how essential coal has been for the country. But five years ago, Drax started switching from burning coal to burning wood. “We’ve converted three of our six generators to run on wood pellets,” says Andy Koss, Drax Power’s CEO, while standing in the shadow of four new cathedral-sized storage domes built to store those wood pellets on the sprawling Drax grounds. …The wood pellets, which are made from compressed sawdust and look like something you might feed a pony at a petting zoo, are burned, just like coal is. And just like coal, that emits carbon dioxide.